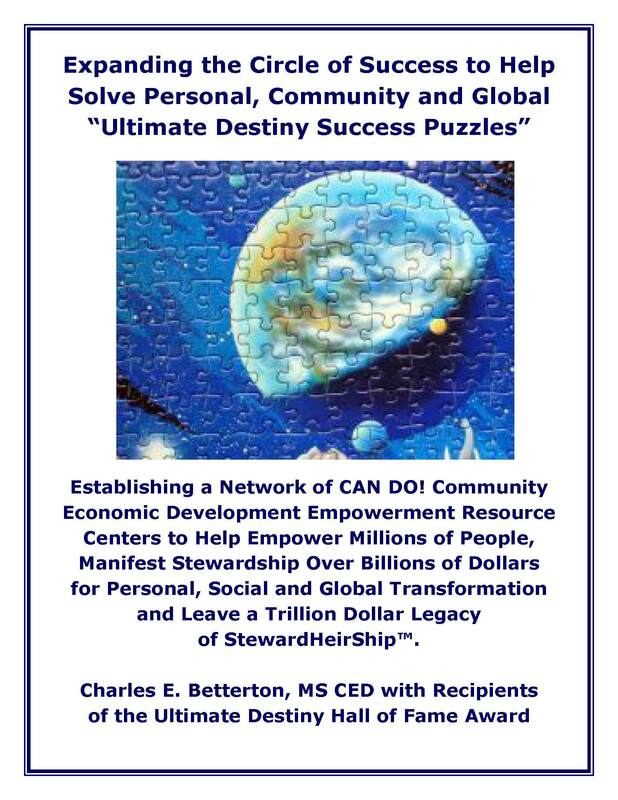 Resources | Solving Our Personal, Community and Global Ultimate Destiny Success Puzzles -- Together, Yes We CAN DO! 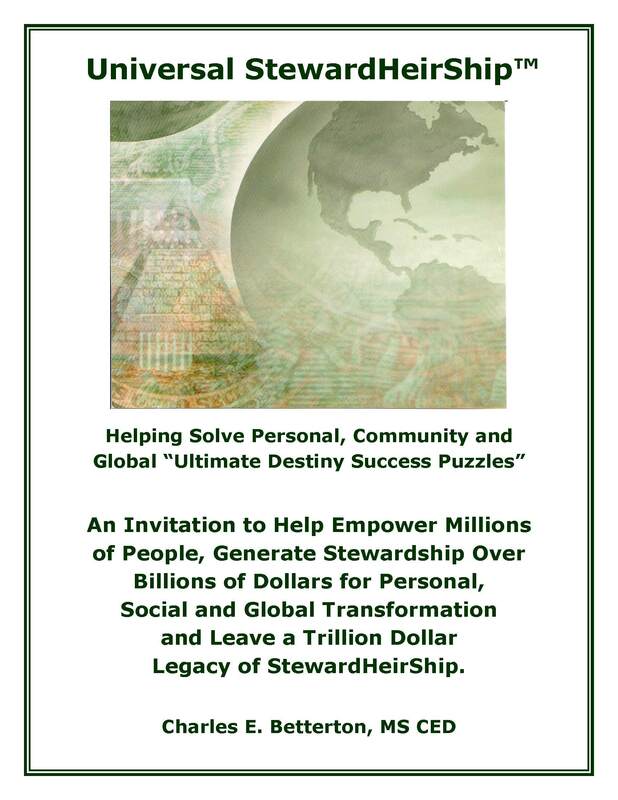 This page will include a master list of all the featured resources included in the individual pages for personal, community and global along with hundreds of other books, audio video programs, seminars and workshops, webinars and teleseminars. We will also provide customer reviews and recommendations on the resources. 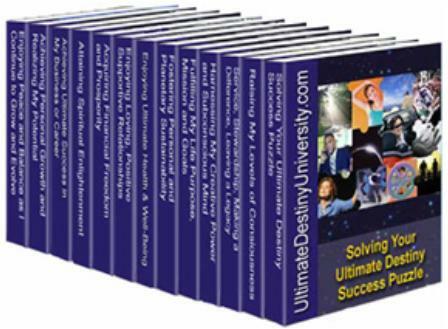 The Ultimate Destiny Success System consists of 14 stand-alone interactive programs with over 1,200 pages on every facet of realizing your potential, fulfilling your purpose and manifesting your ultimate destiny. Each program includes quizzes, self-assessments, goal setting and application exercises, featured resources, and free bonuses. Realizing Your Ultimate Potential; Fulfilling Your Life Purpose; Enjoying Loving Relationships; Attaining Financial Freedom and Prosperity; Enjoying Ultimate Health and Fitness; Achieving Ultimate Success in Business and Career; Raising Your Consciousness; Enjoying Peace and Balance; Harnessing Creative Mind Power; Attaining Spiritual Enlightenment; Fostering Personal and Planetary Sustainability; and Making A Difference and Leaving A Legacy. We are building a supplemental web site on Successful Living Skills for the 21st Century and Infopreneurship University that also share some resources for self-publishing, electronic publishing and Internet marketing. 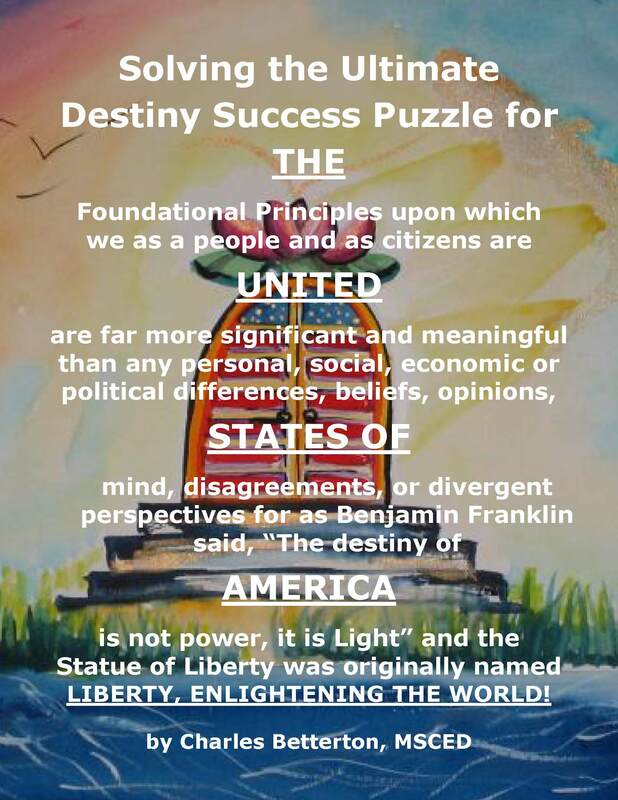 All of the digital programs in the Ultimate Destiny Success System Library are available from Ultimate Destiny on a “Pay It Forward” or “Pay What It’s Worth To You” basis with our Expanding the Circle of Success project receiving 100% of any profits. See www.PayWhatItsWothToYou.com for details. Please use the comment function or the contact form below to share your recommendations and feedback. Thank you!